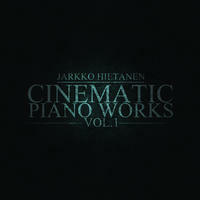 Jarkko Hietanen : Cinematic Piano Works Vol 1. Cinematic composer with an electronic past. Music with meaning. Emotion in its purest form poured into each track. Piano being the carrying power, other instruments let it breathe and tell the stories it tells. Sad, hopeful, motivational, peaceful, dark, tender. From the heart of one human being to another, unconditionally. License Cinematic composer with an electronic past by Jarkko Hietanen for your project. Play the music of Jarkko Hietanen in your restaurant or store. Terean by Ivilion: massive tribal ambient compositions.